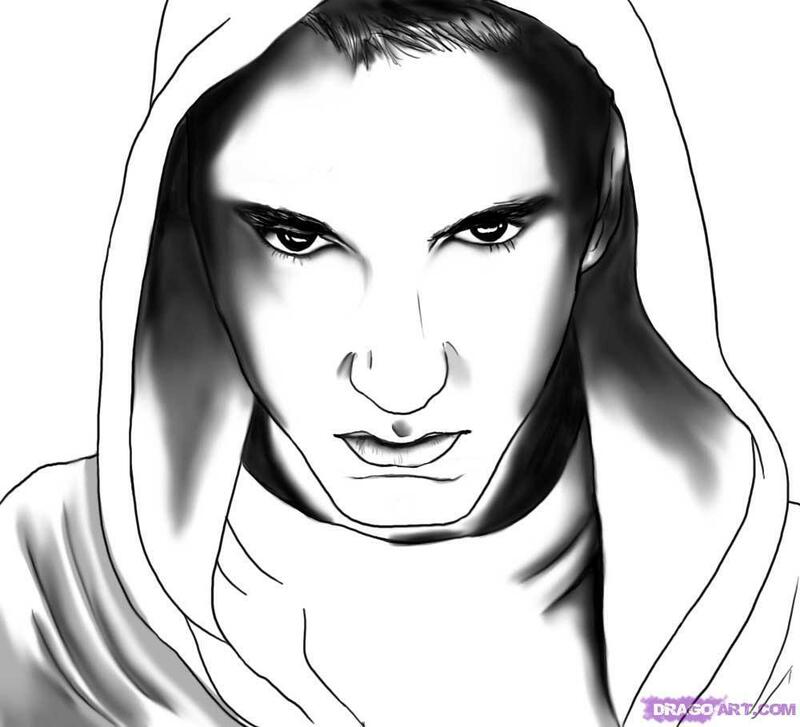 Eminem , Draw. . HD Wallpaper and background images in the Eminem club tagged: eminem slim shady marshall mathers fanart. This Eminem fan art might contain ritratto, headshot, primo piano, and closeup. I know its pretty cool! I didnt make it though! And I see the image credit is being weird :/ But I found it on one Eminem fan site thing! Sorry that I dont have the real credit anymore..
Eww Look At Him He Is so ugly..